Breakfast doesn't have to be cereal or eggs every day. Liven up your morning with some oat waffles topped with a protein sauce that's obscenely low in fat!! Blend all the waffle ingredients until you get a smooth batter. Pour it equally into some silicone waffle moulds and place in the oven for about ten minutes or until the top starts to go golden brown. Whilst they're cooking, mix together the protein and quark. 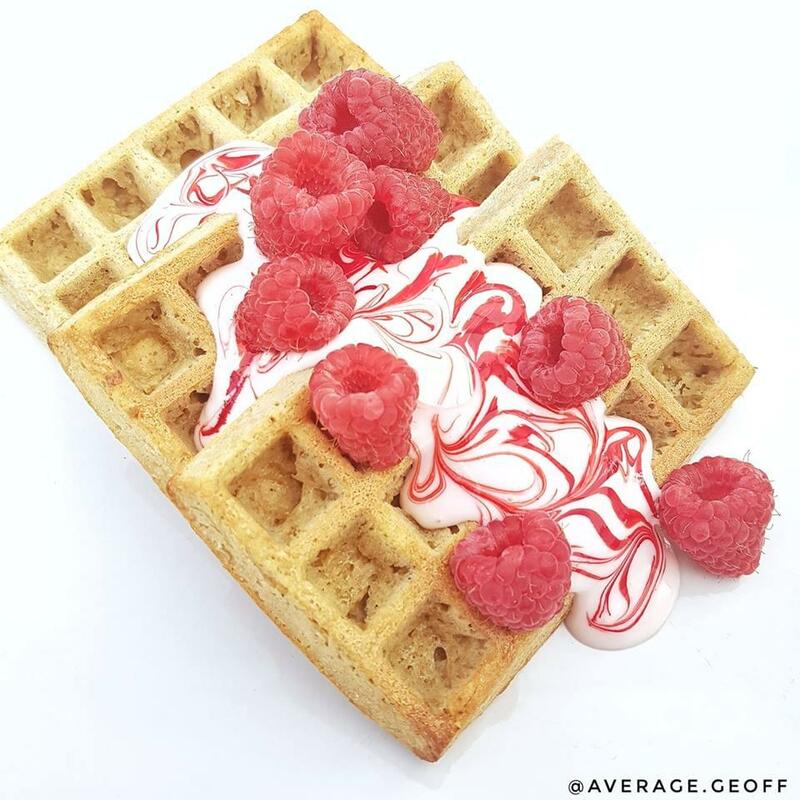 Top the waffles with the sauce and some raspberries. For the fancy swirls, smoosh a single raspberry and use a skewer with a little raspberry on to make swirls.